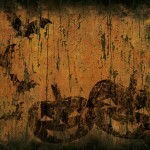 Sawzall-Many extreme carvers feel that the absolutely simplest way to decapitate the pumpkin is a sawzall. You can just jab the blade into the pumpkin and pull the trigger. In a matter of seconds you will have the top removed. It is important to be sure to tip the blade so that the plug is cone shaped. If you do not do this you will not be able to pull it out of the pumpkin. Many extreme carvers recommend using a 4 inch general cutting blade. Jig Saw-This tool is recommended for detailed cuts. 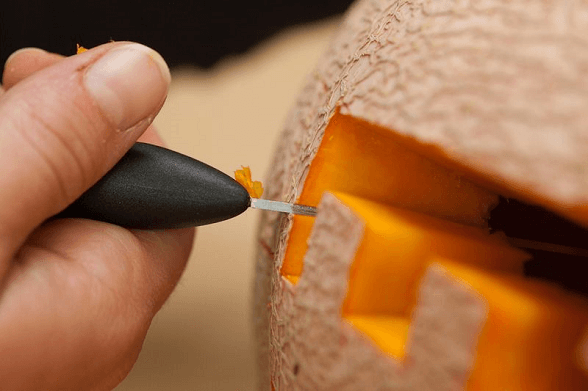 A detailed cutting blade that is used for soft wood will work well with the pumpkin. Keep in mind that you will need as long a blade as you can get. If the blade is not long enough the chunks of pumpkin will not come out. However as with all power tools caution is advised with the jig saw. It will work best to use one with variable speeds. It cuts pumpkin so well that you will be using its lowest speed. It is important to realize that the pumpkin flesh gives it very little resistance. Router-This tool works well when for some pumpkins you will want some areas to provide a little glow effect. This means that instead of cutting out the pumpkin, you can just carve away the skin. It removes the skin of a pumpkin in an extremely efficient way. . Using the router is easy and it is recommended to use a 1/4″ straight bit most of the time. If you really wanted to remove a lot more of the skin area you might want a bigger bit, but keep in mind that the router cuts very quickly. You should also keep in mind that the only warning for using the router is that unlike routing wood where the sawdust blows away, pumpkin flesh just churns up into a pulpy mess. It can obscure the area you are routing quite quickly. Ice Cream Scoop-Your favorite treat tool can be the handiest gadget to have when you are extreme pumpkin carving. 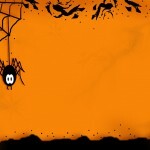 Once you take off the top of the pumpkin, you will need to scoop out the seed and other goop. An ice cream scoop works very well for this. Some extreme carvers even sharpen the edge of their ice cream scoops so that it cuts through the inside more quickly. One reason that you will need to do this is to make sure the thickness of the pumpkin flesh is thin enough that your jig saw will cut all the way through it. You should be thorough when removing the fibrous gunk on the backside of the area you are going to carve and it will go very smoothly. You may want to consider having a special ice cream scoop that is designated just for your extreme pumpkin carving.